Looking for a USED 18L? 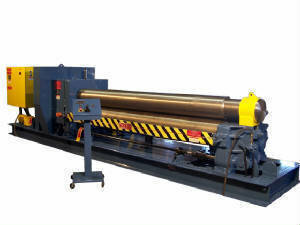 As a major manufacturer, with machinery placed world wide, The WEBB Corporation offers a large selection of standardized models of turning rolls, plate rolls, track supports, fit-up fixtures, seam welders and positioners, offset joggles, mast and boom fixtures and other equipment. Standardization saves you considerable money over having a machine custom built. Plus with the available options, you can order equipment built to suit your requirements. Looking to Purchase a New WEBB CORPORATION 18L?